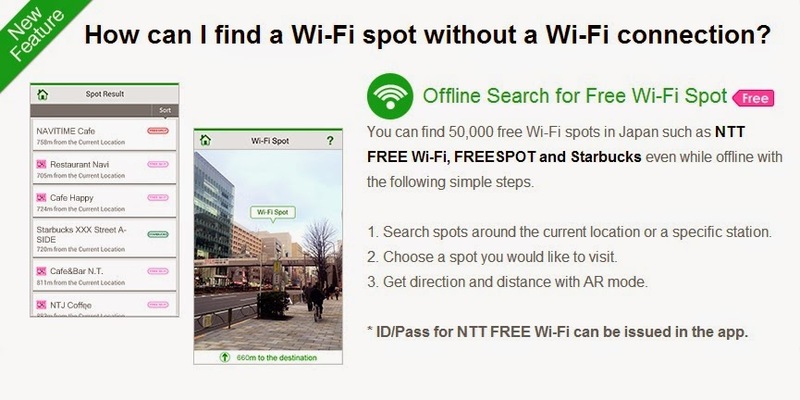 You can obtain this free Wi-Fi card at the information center counter at any airport in Japan. All you have to do is just show them your passport and you don't have to fill out any annoying application and there's no fee charge or anything, it is absolutely free! You will get on the card a Wi-Fi ID and a password that you can use to connect to Wi-Fi on your phone. However, there is a limit on how many days you can use this free Wi-Fi for and it is only valid for 14 days. The NTT East network covers almost half of Japan including Tokyo, Hakone, Hokkaido, Tohoku and many other regions of Japan. If you would like to read and know more you can visit this page here and here. Another thing that is worth mentioning is that aside from the amazing free Wi-Fi card you can get, there is also a free app that you can download called "NAVITIME" available through the app store. I have already downloaded this app. I hope it is as good as it claims to be. 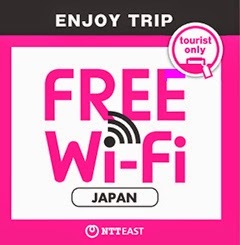 It is highly recommended that you download this travel app and use it with your free Wi-Fi card to make your travel in Japan much more convenient. Here are what some of the features that you can use with this app. 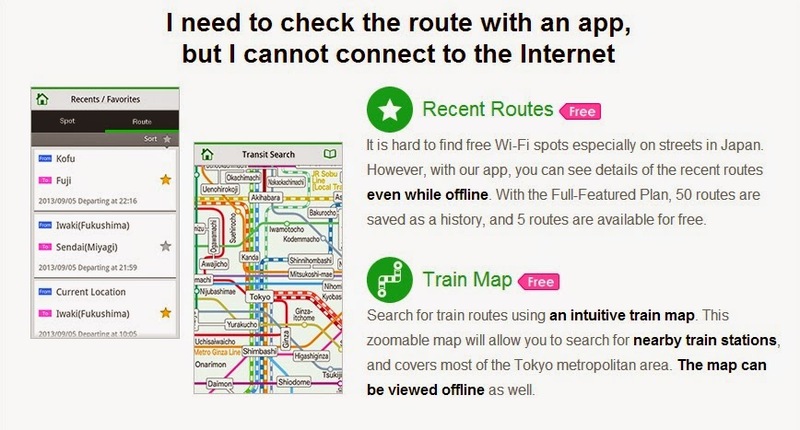 I especially like the feature of the alternate route search as it tells you if the train has stopped running that day and you can find an alternative route to get to your destination. 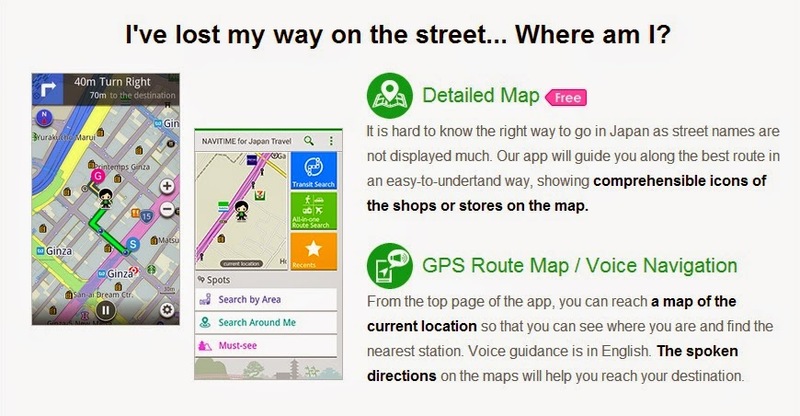 Also the GPS route map and voice navigation is great for people like me who live off of google map to locate how to get to my destination with detailed information. I'm not sure how great this app is as most of the features don't work for me at the moment because I'm not in Japan right now. But I'll probably do a full review on the app later when I return from my trip.